Should you unexpectedly find yourself driving past, you could be forgiven for thinking this week's bookshop is closed. I certainly did a double take as I parked across the road from The Old Saddlery Bookshop in Robertsbridge, East Sussex, looking across at an unlit window and a bricked-up front door. Pausing to consider whether the Twitter-using villagers I'd had contact with weren't simply luring me in to be sacrificed under the village clock I happened to be next to, I looked around very carefully before emerging from my car. Thankfully, approaching the other side of the bookshop – the side villagers would walk towards – I found the front door. Which was locked. At this point I admit an outsider might be tempted to run away, but following the instructions and ringing the doorbell is worth the effort. Honest. After a few moments I was greeted by a friendly gentleman who asked if he could help. Establishing I was there to visit the secondhand and antiquarian bookshop, he offered his assistance then politely gave me space to browse by retreating to a different room. I was left in peace, able to explore the two-room bookshop at my leisure. The brightness of the bookshop immediately struck me, with light flooding in from two large windows. 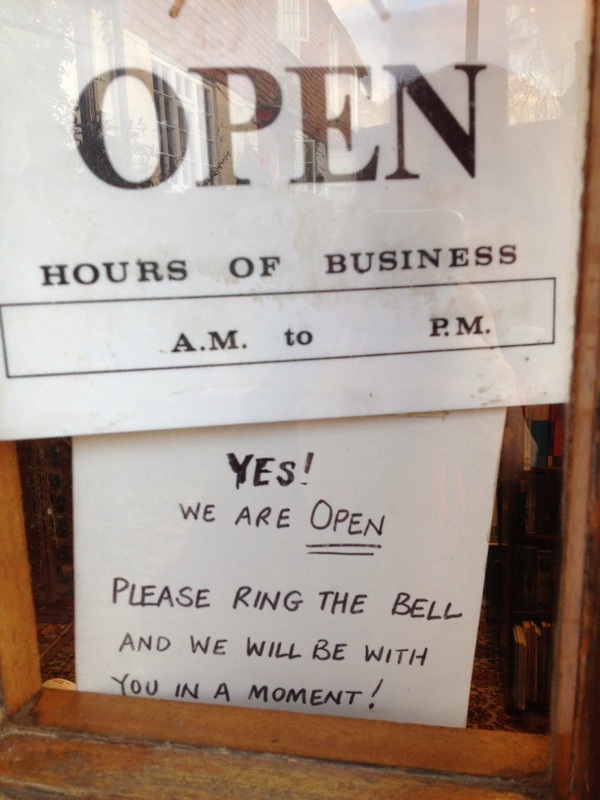 Next was the smell, the reassuring mustiness of a traditional secondhand bookshop. Not too overpowering, but just enough to remind you you're in the presence of books that have already enjoyed many lives before they met you. Finally, looking to the books themselves, you notice the beautiful jumble of your surroundings. Attractive children's books are directly ahead as you enter, with a range of non-fiction genres all around. Wandering down a few stairs to the second room, a crate of random titles of interest draws your attention, with the fiction wall to one side. The alphabet isn't needed here, which admittedly took some getting used to but didn't affect my enjoyment as I randomly jumped from one author to the next, with classics and general fiction all sharing the shelves. It was this happy pairing that prompted me to buy Anne Bronte's The Tenant of Wildfell Hall, a book I've long meant to read but rarely remember to look for. Honestly, The Old Saddlery isn't a bookshop I'd go out of my way to find, but as a detour to a beautiful village it has now become part of my route and somewhere I'll always pause to visit when passing. Why? 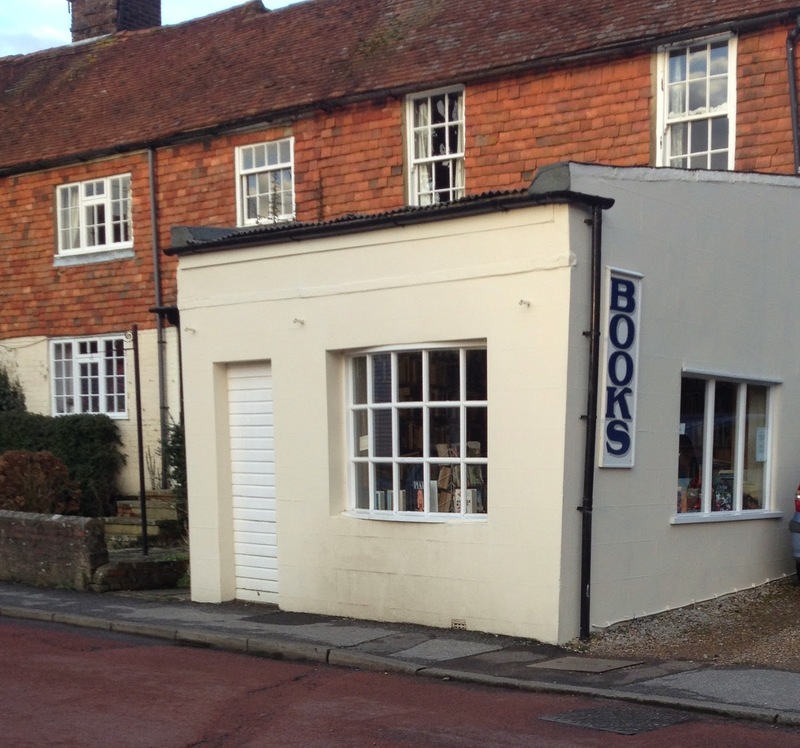 Well, apart from the obvious fact it's a bookshop, because it's a wonderful quirk of a rural village. While there I imagined myself as a local: walking up the road from the village, ringing the doorbell and being welcomed as a friend before diving in to choose my next pre-loved read. I'd possibly take a few moments to relax on a chair with a book, gently warming myself in the sun streaming through those big windows. For this bookshop alone, next time I move house Robertsbridge may well be my destination.